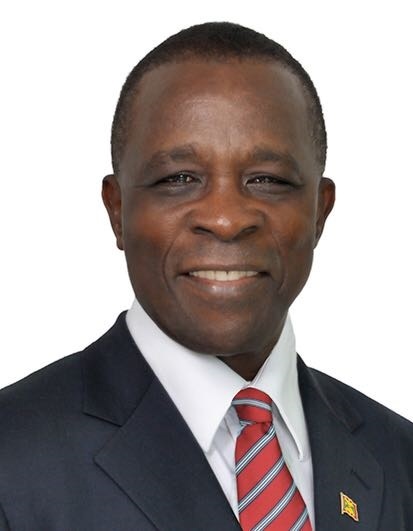 Message by Dr the Right Honourable Keith Mitchell, Prime Minister, Grenada, Carriacou and Petite Martinique on the occasion of Grenada’s 45th Anniversary of Independence, 7 February 2019. Fellow Grenadians, we are gathered today for an auspicious occasion – the celebration of Grenada’s 45th anniversary as an independent nation. To some, February 1974 might seem like just yesterday, while to others, it is a time far removed from our memories. Whether you lived through the period or read about it in our history books, 7 February 1974 will forever be of tremendous significance to all Grenadians. It marked the culmination of a journey intended to liberate our country from the vice-like grasp of colonial powers, and the start of a still unfolding journey as an independent country, responsible for shaping our own destiny. The road has been long and at times, very daunting. However, the experiences along the way have shaped us into who we are today and will certainly influence our future evolution and growth as a nation and create the legacy we will bequeath to the next generation. Forty-five years is a significant milestone. Whether it is the age of a person or the number of years a nation has been independent, the age of 45 generally implies a sense of maturity. For our beloved Grenada, this perception is absolutely applicable, for we have matured as a nation. We have experienced the turbulence of youth and the challenges of young adult life. Today, we are well-poised, backed by the lessons of our cumulative experience, to propel ourselves into the future, eager to maximise the benefits of all opportunities that present themselves. Throughout history, we have often heard that Grenadians are a resilient people. More importantly, today, we are becoming e more resilient as a nation. We are the inheritors of this resilient nation, a rich history that has been passed from generation to generation. For us to be considered worthy of this inheritance, we must continue to hold high, the ideals of social and economic justice. We must continue to embody those ideals and to fiercely defend them at all times. Our foreparents fought for those same ideals; refusing to be second-class citizens in their own land; believing that social advancement should be an option available to all, not just the few. Those of us blessed to be here today are duty-bound to pass on this rich legacy of shared sacrifice and shared gain to our younger generations so that they too, will go on to further develop this nation, through their dedication, patriotism, sacrifice and service. If we continue to adhere to these fundamental principles, there is no limit to how far we can advance as a nation. Nation-building is no easy task. We must all transition through the various stages of development, learning valuable lessons as we go along, while making and refining plans for a sustainable future. There will be pitfalls along the way, as our history has clearly demonstrated, but our ability to rise, our determination to succeed, will be beacons that light the path of our development. 7 February 1974 will be forever etched in our memory as the birth of this independent nation. That struggle for liberation from colonial powers united us. In the ensuing years, that same fierceness and resoluteness have united us and unfortunately, at times, have also divided us. As we celebrate 45 years of independence, I want to recognise those who have unreservedly put country above self; those who are cognizant that sometimes, what is good for one category of persons must also be good for the wider population. As Prime Minister, not even popularity among the electorate should warrant a decision that is not in the best interest of Grenada, Carriacou and Petite Martinique. As citizens of this beloved country, we must strive to leave this country in a better position than we met it. Although we may not personally achieve all that we want to, we ought to take pride in knowing that we have made a contribution to building a better Grenada and ensuring that future generations can benefit from this contribution and can also leave a better legacy for those to follow. Look around you sisters and brothers, what do you see? I see a nation that has defied political and economic crises that threatened to destabilise us. We endured the challenges, we fought valiantly for political and economic recovery and now, the stage has been set, the foundation laid for the future we have so long envisaged; a future where we solidify the economic, political and social gains made, for the benefit of all Grenadians, Carriacouans and Petite Martiniquans. We must continue to press forward on that upward trajectory. As I reflect on this significant milestone, our 45th year of independence, I am heartened by our progress as a nation and I have renewed confidence in our future. Sisters and brothers, we are batting well. The runs are coming in singles, but with each passing year of independence, we are adding to the tally. Soon, we will reach our half century which will be another commendable milestone. But it is not merely the years that count sisters and brothers; it is the achievements we continue to record – our achievements as a nation and the achievements of individuals who continue to carry our flag with pride. Our students across the nation continue to excel, those pursuing studies around the globe continue to showcase the brilliant minds among us and our athletes in various disciplines are building on the legacy of those who have gone before. These successes, of which we are so proud, were achieved through the collaborative efforts of the parents, teachers and other education officials and the enabling environment created by the Government. It is that same collaborative approach we must take to address the current challenges that have the potential to impact the future of our children, and by implication, our nation. It is incumbent on us, as responsible leaders, to bridge the gap and act in the best interest of our nation’s children. I assure you here fellow Grenadians, as we have done on countless occasions in the past, that the Government of Grenada stands committed to engaging with partners and stakeholders in a spirit of mutual respect, in the quest for economic and social justice for all. As the current gatekeepers of this beloved nation, we must continue to ensure that our children are afforded the best education possible and that they are not deprived of opportunities to excel academically. For our athletes seeking to emulate the exploits of our jaguar, Kirani James and our other sporting icons who have excelled regionally and internationally, we must also ensure that they are not denied the opportunity to showcase their talent on the world stage. Today, as we focus on our inherited legacy and our role in building on it, I take the opportunity to recognise a young man, who is not only talented on the cricket field, but one who possesses the type of grit and determination that is deserving of recognition and emulation. Having made his international cricket debut in 2003, Devon Smith earned a recall to the West Indies team for the test series against Sri Lanka last year and just recently, at the Windward Islands level, he came close to a double-century, scoring 199 in the match against Barbados. In recognition of Devon’s remarkable efforts in regional and international cricket, Government has instructed the Ministry of Sports to name a stand in the cricket stadium in his honour of Devon Smith. We trust that this will enable his legacy to live on. Sisters and brothers, we must jealously guard the advances we have made in this country. We must be weary of the detractors, the forces that are working tirelessly to destabilise this country and hurt our future by any means necessary. Throughout history, it has been the inaction of those of us who could have acted; the indifference of those of us who should have known better; the silence of the voice of justice when it mattered most that has made it possible for those with questionable motives to triumph. Sisters and brothers, we would be failing future generations if we sit idly by and allow our future to be derailed. As a nation, Grenada continues to be a shining example among regional and international peers – our economy remains one of the fastest growing in the region; our debt to GDP ratio continues to improve significantly and we are well on track to achieving the goal set by the Eastern Caribbean Central Bank (ECCB), way ahead of schedule. On the subjects of climate change adaptation, improved resilience and sustainable development, Grenada is also a recognised leader on the world stage. These developments are not taking place by chance; significant emphasis has been placed on development planning and we are beginning to see and reap the rewards of that. You can expect to see even greater emphasis on development planning going forward. We have just concluded another round of consultations that will inform Grenada’s National Sustainable Development Plan 2035. This plan will help shape the short to medium-term future of our country, identifying and promoting strategic priorities for the way forward – social, economic, environmental and governance strategies. Many of you have contributed to the consultations and we will be calling on you again to validate that feedback as we refine the plan and work towards the final draft in November this year. Sisters and brothers, fellow Grenadians, our focus is on development that is inclusive. Yes, there is a Government that provides administrative guidance for our development, but our work must be informed by you, the people of this land. Your voice, your contribution is equally important to the process, as is our leadership. We must ensure that our development transcends political differences; whatever the Government of the day, their work must be guided by the will of all Grenadians. Sisters and brothers, great moments are born from great opportunities; our opportunity to develop a blueprint for this country from the bowels of our people is now. I encourage you to seize this important opportunity. Country above self, sisters and brothers, that is the only way to ensure that the future of this country is all-encompassing. Let us work together to create a legacy of which we can all be proud. We must hold our “heads, hearts and hands in unity, to reach our destiny.” Laying the foundation on which we continue to foster our growth as an independent nation, the words of our National Anthem provide a timeless message that should serve as an element of cohesiveness, binding us together as a nation. “May we with faith and courage, aspire, build, advance.” Sisters and brothers, happy independence to all of you, the beautiful people of this beautiful land, Grenada! I thank you. Very inspiring and well structured speech.